Eco Supply offers a registered AIA CES presentation about ventilated natural slate rainscreen systems. Earn 1.5 AIA credits learning about CUPACLAD®, the ventilated rainscreen system that is changing the face of slate tile! 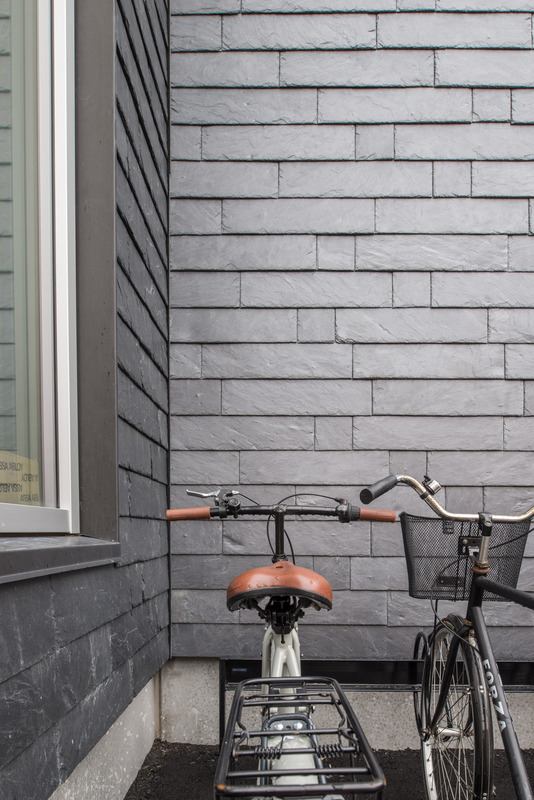 Slate siding has become a popular, modern architectural trend over in Europe, and the CUPACLAD® system offers a number of designs as well as environmental, structural, and energy-saving benefits. Know how roofing slate is produced, from the quarry to the roof. Identify slate quality and detect potential problems. What do you need to ask when using slate in a project? Know about ventilated facade systems with Natural Slate: CUPACLAD from a technical and practical point of view. Know the only invisible Thermal Solar Panel with Natural Slate: Innovation, Performance & Tradition.